While the recent entry of bike-share companies into Singapore’s already compact urban space has been met with backlash on improper parking and conflicts on right of way, continued support for these services along with policies to increase bike usage and infrastructure could be vital in tackling a major health issue the city has to be increasingly concerned with: physical inactivity. Physical inactivity is a pressing global health issue, and is only growing in pertinence in Singapore. 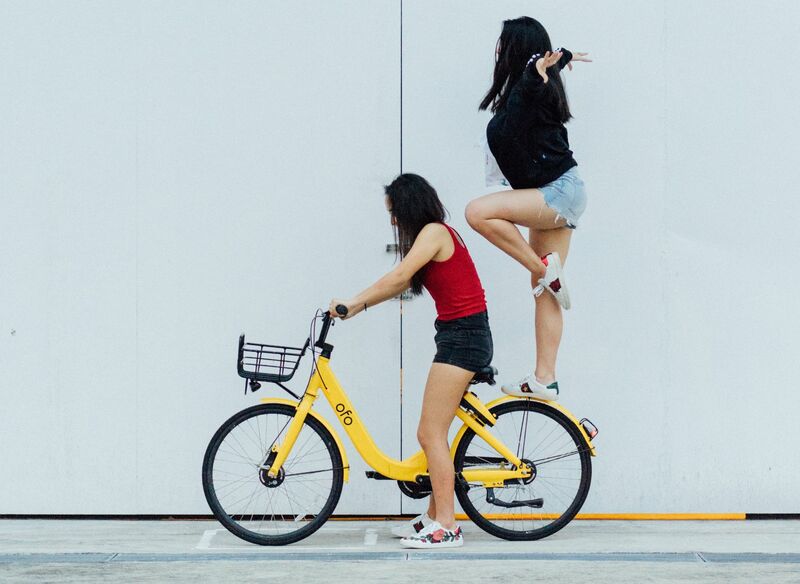 Policies that support bike-sharing and increase bike-use, especially among students, is an effective means of addressing physical inactivity in Singapore, as well as precipitating other health benefits such as decreased air and noise pollution and increased social cohesion. These reports are alarming as various health educators have found that childhood patterns of behaviour tend to carry over into adulthood and that physical inactivity, especially in adolescence, significantly predicts physical inactivity in adulthood. On the flip side, focusing our efforts on increasing physical activity at this stage can have similar compounding and long-lasting effects. Enter biking. Regular physical activity of 30 minutes a day, such as biking, has been demonstrated to lower the risk of: recurrent breast cancer by ~50%, colon cancer by >60%, developing of Alzheimer’s disease by ~40%, heart disease and high blood pressure by ~40%, stroke by 27%, and developing type II diabetes by 58%. It is also twice as effective in treating type II diabetes as compared to the standard insulin prescription and as effective as Prozac or behavioral therapy for treating depression. Biking is an especially good choice of regular physical activity for four reasons. First, biking is low impact, causing less strain and injuries than most other forms of exercise. Second, it is a well-rounded activity, using all of the major muscle groups and training stamina, strength and aerobic fitness. Third, it is easy. Biking does not require high levels of physical skill or additional special equipment or spaces, its intensity can be controlled and it is hard to forget once learned. Lastly, it is efficient, replacing sedentary time on motor vehicles or public transport with healthy exercise. Further reasons to focus on increasing bike use can be found in how it concurrently addresses a slew of other health issues. A move to bicycles displaces other forms of transport such as cars and busses, which add to a substantial amount of air and noise pollution, as well as greenhouse gas emissions. These benefits are not only conferred onto bikers, but also to Singapore as a whole. Eliminating air pollution would reduce respiratory-related health problems. Reducing noise pollution would lower stress and anxiety. Decreasing carbon emissions combats climate change, which has various mid- to long-term downstream health consequences such as an increased prevalence of natural disasters and vector-borne diseases. Biking also increases social cohesion and sense of community, which is good for mental health, which has been linked to problems arising from social solidarity. For these reasons, biking can be easily adopted by students, especially with the timely growth of bike-sharing fleets around the country. We can further promote the use of bikes with bike education programmes, as well as simply by increasing bike-infrastructure such as bike lanes and parking spaces. There can be incentives for using bikes as a primary mode of transport, similar to what the Health Promotion Board is doing with the National Steps Challenge. Schools can indent additional time to allow student bikers to travel to school and shower before classes starts. Families can invest in a bike to be shared amongst themselves or start a tradition of biking as a bonding activity. We can all be a little more patient with teething problems with bike-sharing and bike infrastructure that has not caught up with it yet. The best part is, the more bike-use is increased, the more it will make sense to develop bike-infrastructure, leading to even more reason to bike, creating a positive feedback loop that makes it easier for biking, and subsequently, a healthy dose of regular physical activity, to proliferate over time. Our world-class online doctors can provide you with medical advice, and depending on where you are, they may also be able to write you a medical certificate and online prescription. You have a right to deal with your health.